This coffee percolator doesn't leave messy filter or bags to deal with after brewing. The simple design only needs cold water and the right amount of coffee for operation. This coffee percolator has a light that will flash when brewing is complete. The economic low heat element keeps coffee hot for hours until served. 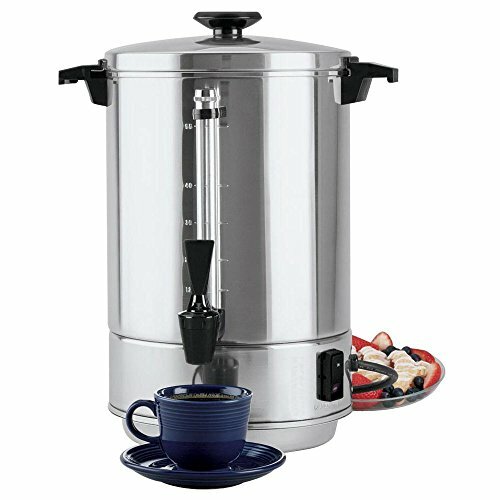 This coffee percolator makes has a fast production rate of one cup per minute or 55 cups per hour. If you have any questions about this product by FOCUS FOODSERVICE LLC, contact us by completing and submitting the form below. If you are looking for a specif part number, please include it with your message.